The Hunting, Fishing and Trapping Coordinating Committee (“Coordinating Committee”) was instituted in 1976 under the provisions of Section 24 of the James Bay and Northern Québec Agreement (JBNQA). In 1978, the Naskapis joined the Coordinating Committee with the signing of the Northeastern Québec Agreement (NEQA). The provisions of Section 24 of JBNQA and Section 15 of the NEQA established a Hunting, Fishing and Trapping Regime specific to the Territory under the JBNQA and the NEQA, which provides certain rights to the Cree, Inuit and Naskapi (“beneficiaries”) with regards to harvesting of wildlife. Provisions of this Regime also include an Outfitting Regime that is specific to the Territory under the JBNQA and the NEQA, which affords beneficiaries certain rights regarding the establishment and operation of outfitting enterprises in said Territory. 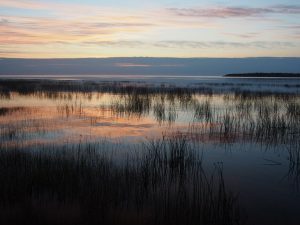 As per Section 24 and of Chapter XI of the Act respecting hunting and fishing rights in the James Bay and New Québec territories, the Coordinating Committee is an expert body made up of Cree, Inuit and Naskapi members named by their respective bodies, and by members appointed by the Gouvernement du Québec and the Government of Canada. The Coordinating Committee has been given the responsibility to review, manage, and in certain cases, supervise and regulate the Hunting, Fishing and Trapping Regime, including the Outfitting Regime. The Coordinating Committee is also a consultative body to responsible governments, being as such the preferential and exclusive forum for the Native people and the governments of Québec and of Canada to formulate regulations and supervise the administration and management of the Hunting, Fishing and Trapping Regime. It also participates with the responsible minister of Canada or Québec in the management of wildlife species in the Territory under the JBNQA and the NEQA, either through decisional or consultative recommendations as called for in each case. Consequently, the Coordinating Committee may initiate, discuss, review and propose all measures relating to the Hunting, Fishing and Trapping Regime in the Territory under the JBNQA and the NEQA. The Coordinating Committee may propose to the responsible Ministers regulations or other measures relating to the regulation, supervision and management of the Hunting, Fishing and Trapping Regime. The responsible Ministers have discretion to act upon such recommendations in accordance with the consultation process established by the Regime. Furthermore, all regulations relating to the Hunting, Fishing and Trapping Regime proposed by the responsible governments are submitted to the Coordinating Committee for advice before enactment. The Territory under the JBNQA and the NEQA, includes a large part of the northern regions of Québec which covers nearly one million square kilometers and corresponds to the lands transferred to Québec by the 1898 and the 1912 Acts extending and delineating the boundaries of Québec. 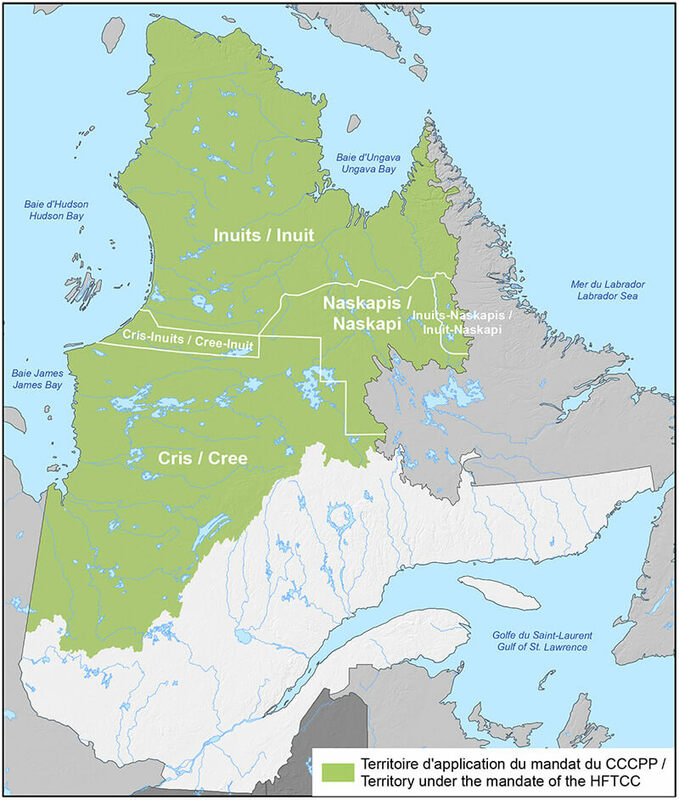 The Coordinating Committee consists of 16 members for which the Cree Nation Government and Makivik Corporation each appoint three members; the Naskapi Landholding Corporation appoints two members; the governments of Québec and of Canada each appoint four members. The Société de développement de la Baie-James appoints an observer-member who is non-voting. For the 2019-2020 fiscal year, the chairpersonship is held by Mandy Gull of the Cree party, while the vice-chairpersonship is held by David Swappie of the Naskapi party, and the Second vice-chairpersonship is held by [person to be appointed] of the Inuit party. The Coordinating Committee meets in person at least four times annually. As far as possible, it meets within the Territory under the JBNQA and the NEQA. Other meetings are held in person, by teleconference or videoconference, as needed. Working groups composed of several members and advisors review particular subjects or undertakings and make submissions to the Coordinating Committee for comment, instruction or approval, depending on the status of the file.